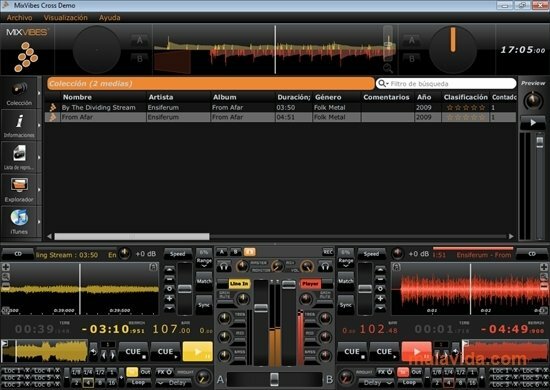 Some years have passed since the first versions of Atomix, Traktor or VirtualDJ were launched, but nobody thought that the world of software for DJs was going to grow so quickly nor that it was going to become a standard. MixVibes CROSS takes practicality to the maximum extent when it comes to mixing music thanks to a revolutionary interface and features. 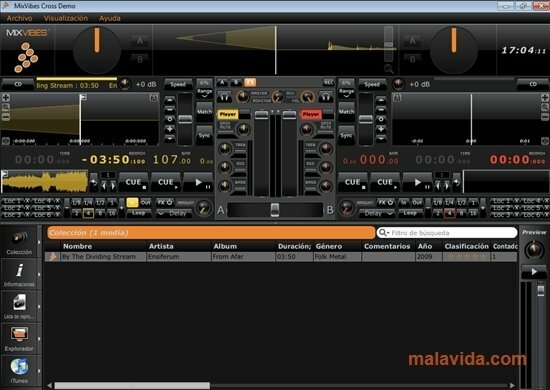 - Compatibility with time-coded CDs and vinyls to control the program. - Total integration with iTunes, in such a way that it is possible to access our music library directly from the application. - Symmetric interface to make it easier to mix. - Time-stretching and pitch-shifting with Z-plane technology. 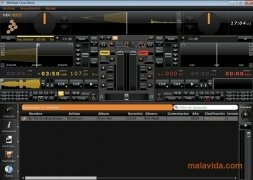 - Hybrid mode to control the tone of the songs. - Auto-loop function with three locators per track. - The Matcher utility for perfect synchrony between songs. MixVibes CROSS is trying to make itself a place among the professional DJing applications by offering a product that's simple, stable and full of options. As well as offering a reliable control system by means of timecode or MIDI. 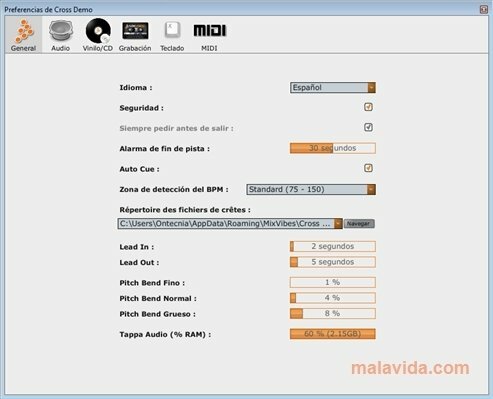 If you want to start working with a totally professional, practical and stable tool, download MixVibes CROSS.